Utada Hikaru's sixth original Japanese studio album, Fantôme, is set to be released on Wednesday, September 28, 2016! The track listing has been released as well as information on several upcoming TV interviews and live performances in Japan! Hikki has also graced us again in a PV for "Hanataba wo Kimini." Also, according to Terazune, the album will be available on the US iTunes music store on the same day it is released! We apologize for the delay in updating the site and want to assure you all that we are still here and anxiously waiting to press "play" with the new album! 宇多田ヒカル News : SHE'S BACK! According to utadahikaru.jp, Hikki will be providing the theme song for the new NHK drama series, とと姉ちゃん (Toto Nee-chan), which starts April 4th, 2016! The series is an NHK Serial TV Novel, or Asadora (meaning "morning drama"). In a tweet, she said she was just finishing up the last line of lyrics! 宇多田ヒカル News : Hikki Annouces Birth of Baby Boy! Also, New Music Coming! Today Hikaru Utada announced on her message site, the birth of a baby boy! (And indirectly, that she was pregnant!) We will await further details, such as the name as Hikaru and Francesco's new bunde of Joy. Further, she also announced that she has been recording over her pregnancy and we can expect a new album! Travel, Husband, Baby ... sounds like Hikki has definitely more experience in "human activities"! 宇多田ヒカル News : Congratulations to Hikaru and Francesco!!! Hikaru Utada and Francesco Calianno were united in marriage on May 23rd, 2014 in Italy! 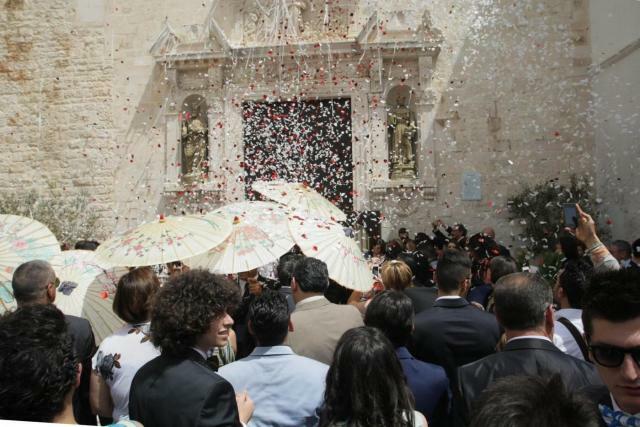 They were wed at the same place as Francesco's parents, a cathedral in Polignano a Mare, in the Province of Bari. Onlookers and paparazzi were kept away by bodyguards with Japanese parasols. Guests were also asked to not to take any pictures or leak any news. The bride arrived in a Mercedes van. The ceremony was officiated by Don Gaetano Luca (pastor). After the ceremony, a reception was held at a country estate, la masseria Sant’Angelo de Grecis, in Francesco's home town of Fasano. A structure dating back to the 11th and 12th century. The couple had officially announced their engagement back in February. They had met at the Bulgari Hotel in London where Francesco was a bartender. Read More... | 2082 bytes more | Comments? UtadaNet.com Site News : UTADANET IS 10 YEARS OLD! Today is the Tenth Anniversary since we launched Utadanet.com! Its amazing how fast the time has passed and really doesn't seem like it has been 10 years! Over the decade, we have witnessed and were a part of so much of Hikki's career. But also, the community and friendships that have formed here, has been an amazing thing to witness. It has been heart warming to see UN was a platform where people met, would help each other out, and where lasting friendships have formed. Read More... | 1243 bytes more | Comments? Read More... | 3271 bytes more | Comments? While the past year has been a difficult year, 2014 marks 15 years since her amazing debut and 15 years of an amazing career. From the fans, Hikki, we wish you nothing but the best and happiness! 宇多田ヒカル News : No KUMA POWER HOUR this Sept 17. A Fuji Keiko feature will play instead. According to the InterFM KUMA POWER HOUR page on Tuesday September 17, there will be no 『KUMA POWER HOUR with Utada Hikaru』radio show. The content for September 17 will be a memorial program for Fuji Keiko by DJ Kyoichi Tsuzuki from Roadside Radio.